Jeremy said this to me recently in Jerusalem. He is Jewish, an Israeli born in the UK, and was our guide on my first ever visit to this region nearly ten years ago. This time we talked for over two hours about the Israeli-Palestinian conflict and where it was headed. Looking back it seems strange to me now that I had not properly thought about life under occupation and what it really meant. 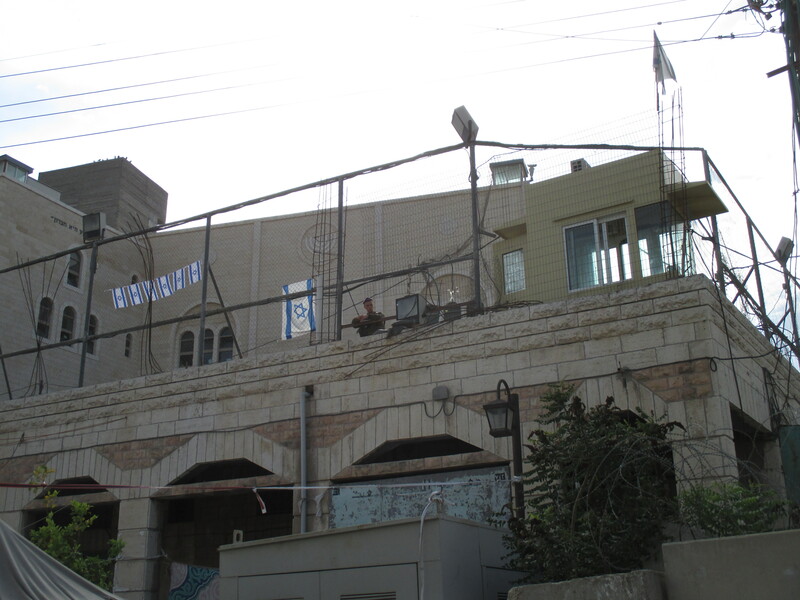 Palestinian Hebron along with the rest of the West Bank, Gaza and East Jerusalem, is occupied by the army of Israel, another country. The occupation is illegal under international law. Of course I knew that. 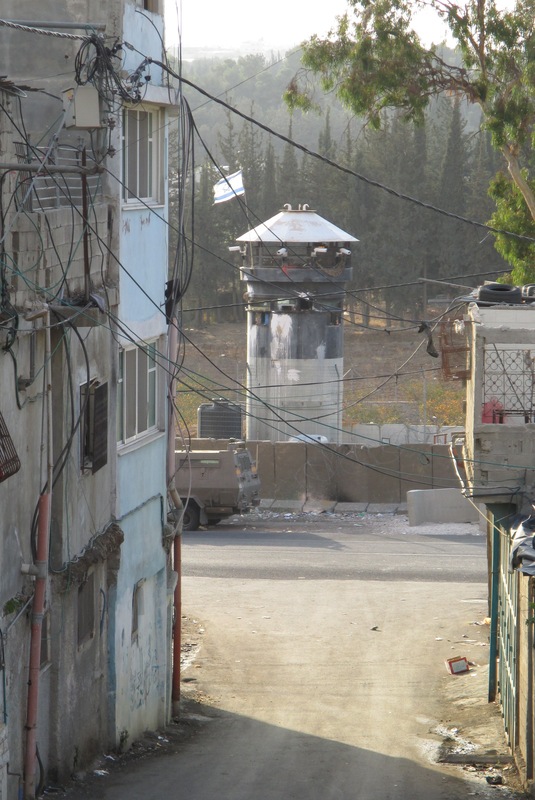 But until I spent time living and working here as a Human Rights Observer with the Ecumenical Accompaniment Programme in Palestine and Israel, I didn’t really understand what it does to everyday life. How it changes the daily normality into something that is far from normal. The physical signs of the military occupation are everywhere here: soldiers with weapons; military jeeps and mobile prisons; watchtowers all over the city, on people’s roofs and on the surrounding hilltops; roadblocks; the “sterile” Shuhada Street which Palestinians are banned from walking down or from using their front doors if they live on part of it; the bizarre spectacle of the “settler tour” through the old souq on a Saturday when dozens of Israeli settlers accompanied by large numbers of heavily armed soldiers parade through the old city of Hebron. All of these things are horrible to look at. 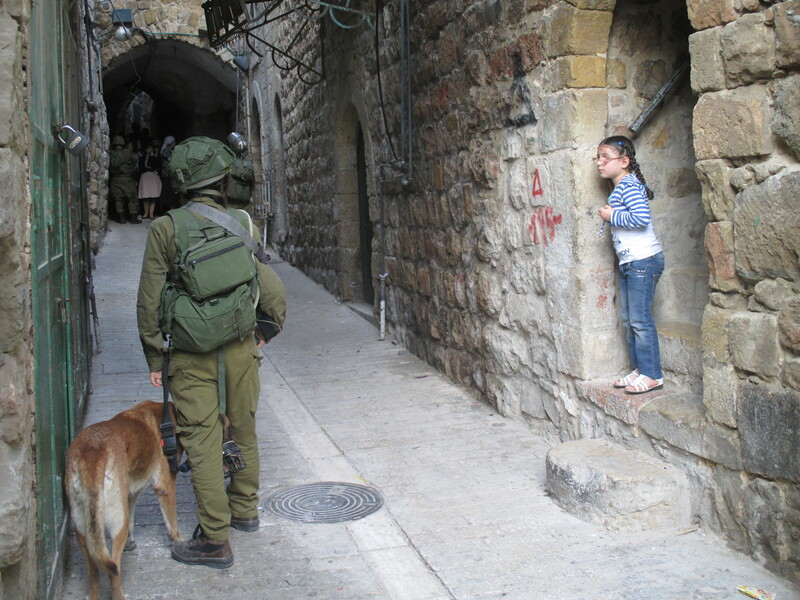 And you feel the tension in the air when you walk around H2, the part of the city that is controlled by Israel. But it is the disruption to everyday life which I never thought about properly before. Try to imagine soldiers from a hostile country in your own street every day, and what this would do to life. Imagine some of the things that you do everyday – popping to the local shop for bread, for example. It should take 5 minutes. 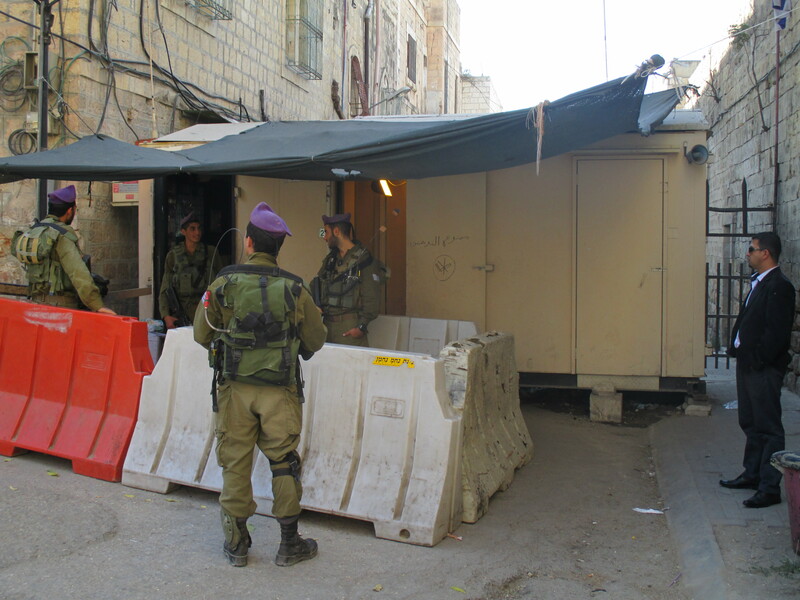 But if you are a Palestinian living in H2 in Hebron, you have no idea how long it will take. Will you even come back that day? Soldiers may decide to randomly detain you for an ID check, with or without a full body search. 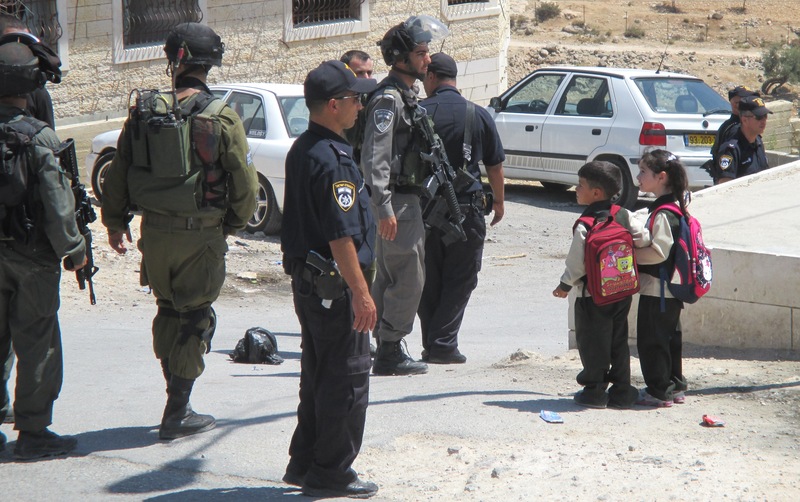 This happens every day in Hebron to many, many Palestinians. When I have asked the Israeli soldiers what the people have done to be pulled over, I’ve had answers including: “to check if he is a bad person”; “maybe he is a terrorist”; “he’s done nothing.” You could be there for 10 minutes, half an hour, maybe a couple of hours. But I have never seen them find “a bad person” through doing this. If you argue or they decide you look like someone who has been seen throwing stones, they might arrest you and take you first to their army base on Shuhada Street. Many Palestinians have reported being beaten here, before being taken either to a police station in a nearby settlement and charged a significant sum of bail to be released, or to a military prison where you might have a hearing in a military court, or even be held for years without charge in administrative detention. If you avoid this, then you still face having your handbag searched every time you leave your house; or watching your elderly parents be questioned and humiliated by teenage soldiers on a regular basis; or having your schoolbag searched by soldiers with large guns when you are 7 years old. It’s quite unsettling sight to watch a man with a large rifle demand that a little child hands over their Barbie or Mickey Mouse rucksack for inspection. It’s unthinkable in the UK – can you imagine it happening to your child? But sometimes the bags are not searched. Like many things, it seems to depend on the mood of the soldiers at the time. And if Israeli settlers happen to be walking past at the time, you can pretty much guarantee that Palestinians will be searched. 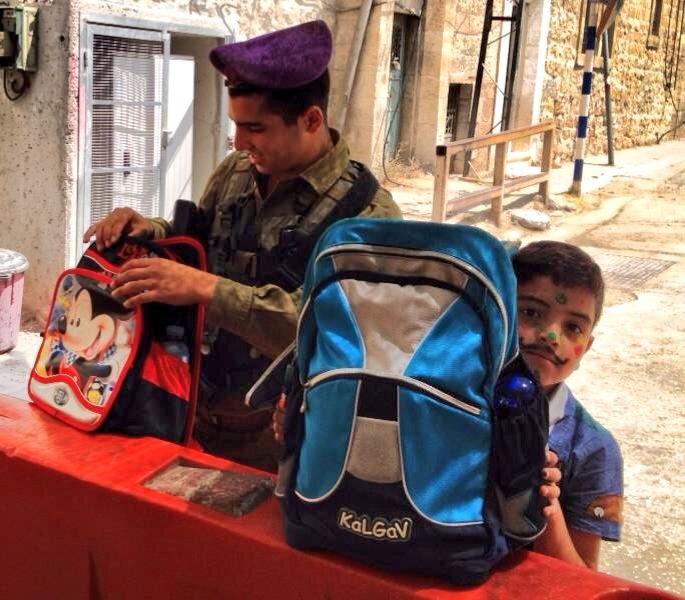 On one occasion when I asked a soldier why he was searching a kid’s bag and he told me “it’s normal”. “No really” I told him, “it’s not”. 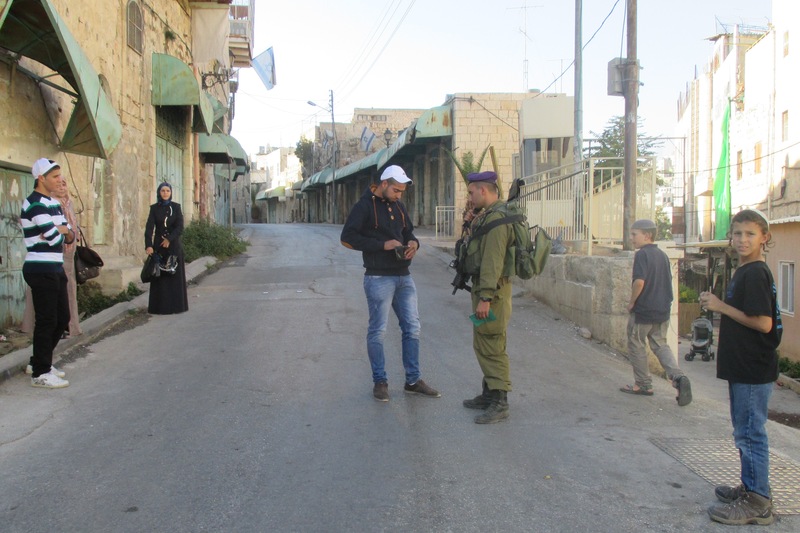 I witnessed soldiers detain a Palestinian man called Zidan at checkpoint 56 when he was taking biscuits to the kindergarten in H2. 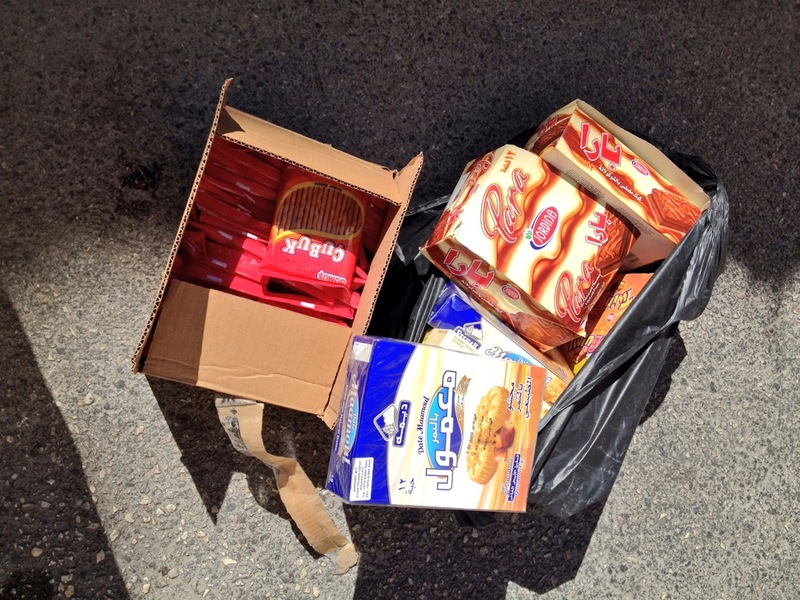 The biscuits obviously didn’t set off the metal detector but they wanted him to open every individually wrapped biscuit for inspection, which would have spoiled all of them. Another time, Zidan was detained there when taking his toolbox to his house. The soldiers searched it but wouldn’t let him leave. Eventually he got so frustrated that he tipped his tools out into the street: spanners, a hammer, a saw – regular toolbox things. More soldiers, less than half his age, came and threatened to arrest him. Another time I encountered two Palestinian men being held up by an Israeli soldier, and went to see what was going on. The men wanted to take their emptied wheelie bin across the street to their house but the soldier had decided that this was not allowed. They were just trying to carry out a mundane daily task but even this had become impossible. 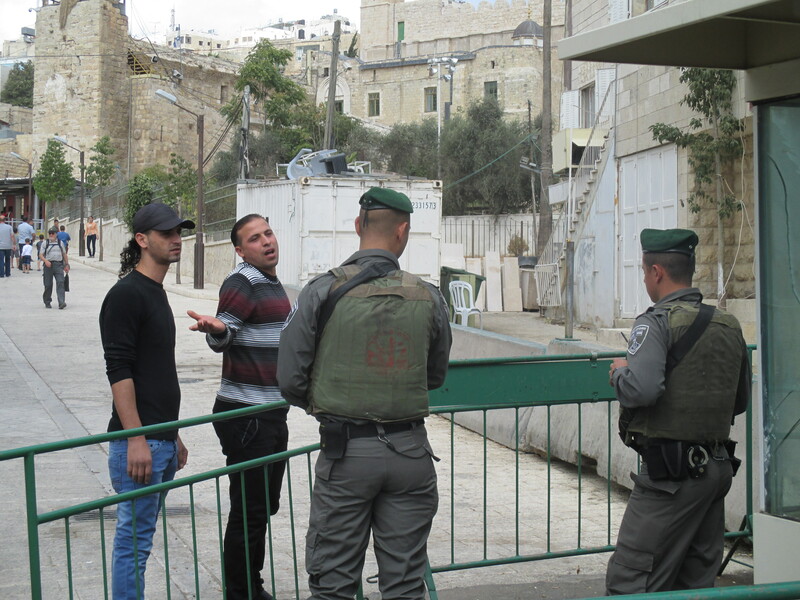 To me, the occupation feels like it has an iron grip, a stranglehold on ordinary life. Normality and the freedom to move around in the most basic way is stifled, smothered by a presence that you cannot escape. So many days, I have watched what goes on and wondered how the Palestinian people manage to go on like this day after day. Jeremy is right that the occupation is rotten to the core. 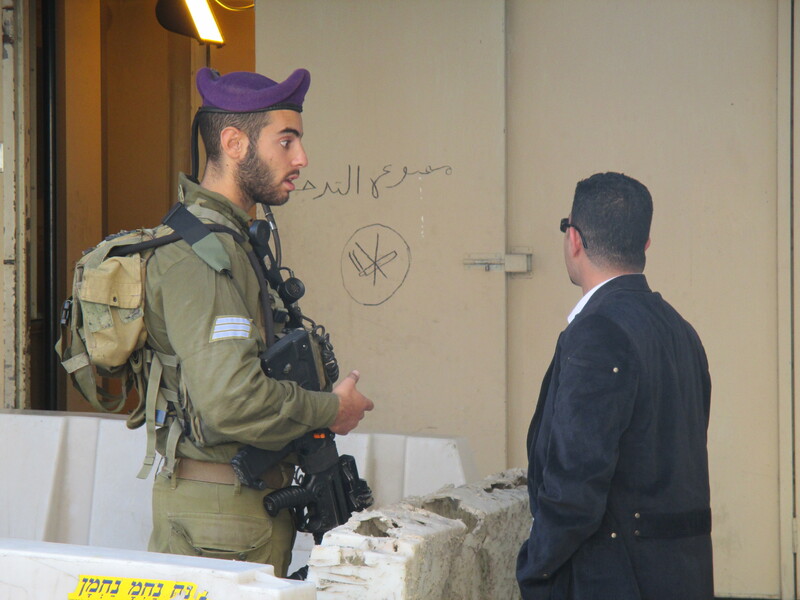 The evidence to show this is everywhere – being produced by Israelis and well as Palestinians and internationals. For how much longer does the world think that Samia and her people should be patient?